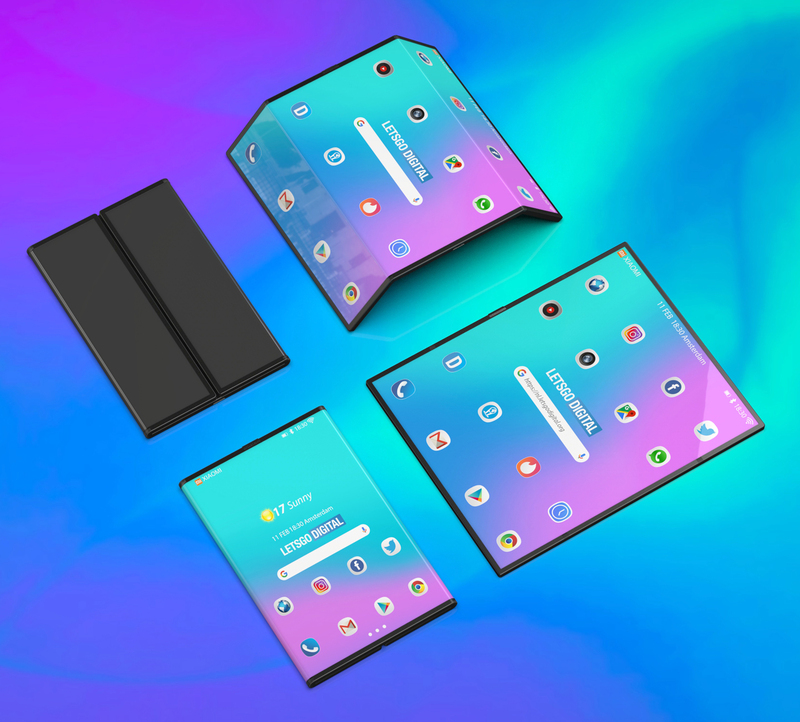 In 2019, several smartphone manufacturers will introduce their first foldable smartphone, including Samsung, Huawei, Motorola, LG and Oppo. 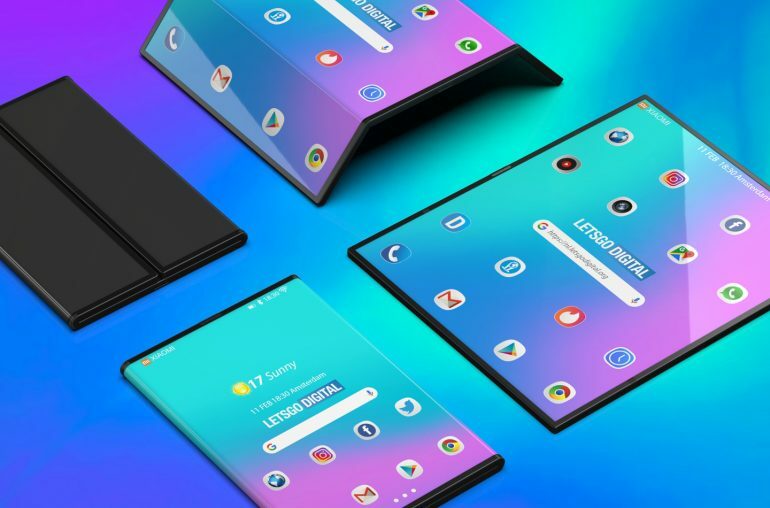 All of these companies have already officially stated that they are currently developing a folding phone. The first smartphones with a flexible screen will be introduced before the end of this month. Yet there is one other manufacturer with a foldable phone in the works: Xiaomi. Late last year, LetsGoDigital obtained a research report from the Korean research agency CGS-CIMB Research. In this report, Xiaomi was first associated with the development of a foldable smartphone. 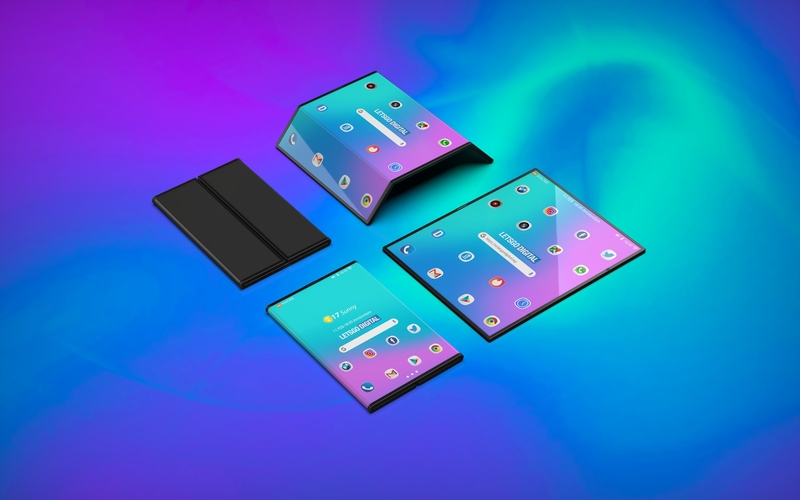 This source reported that Xiaomi will introduce a folding smartphone in the second half of 2019. 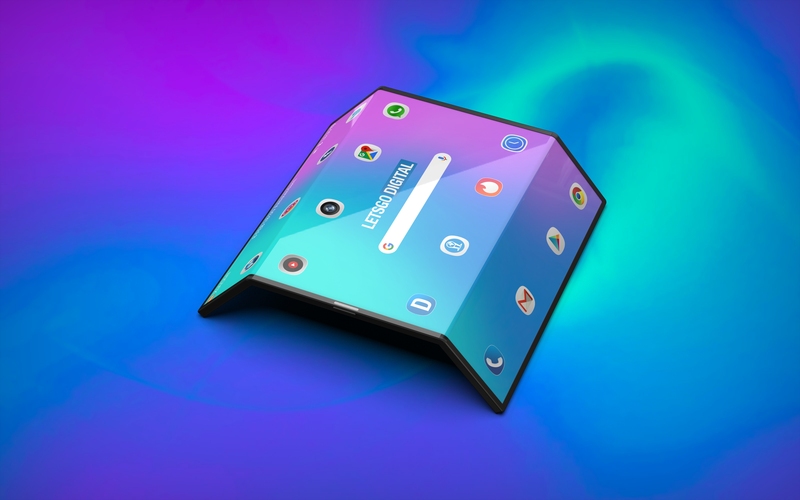 About two weeks ago, the Chinese manufacturer publicly announced that it is indeed developing a folding smartphone. 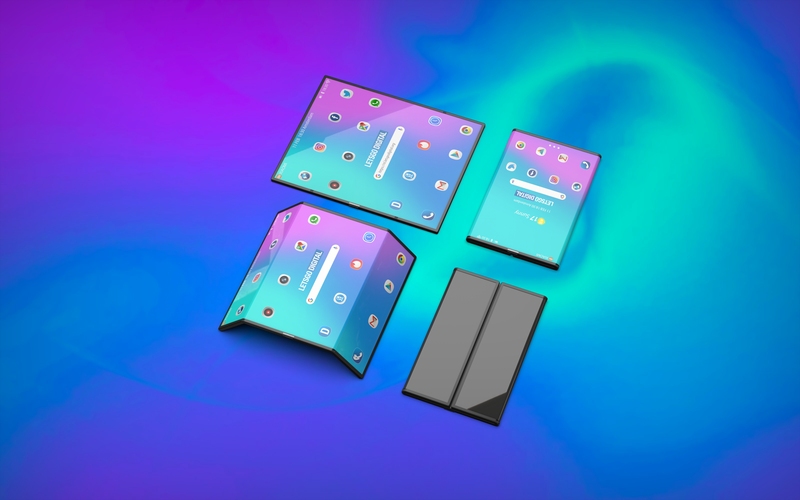 Lin Bin, co-founder and CEO of Xiaomi, published a video showing a prototype of the foldable smartphone. 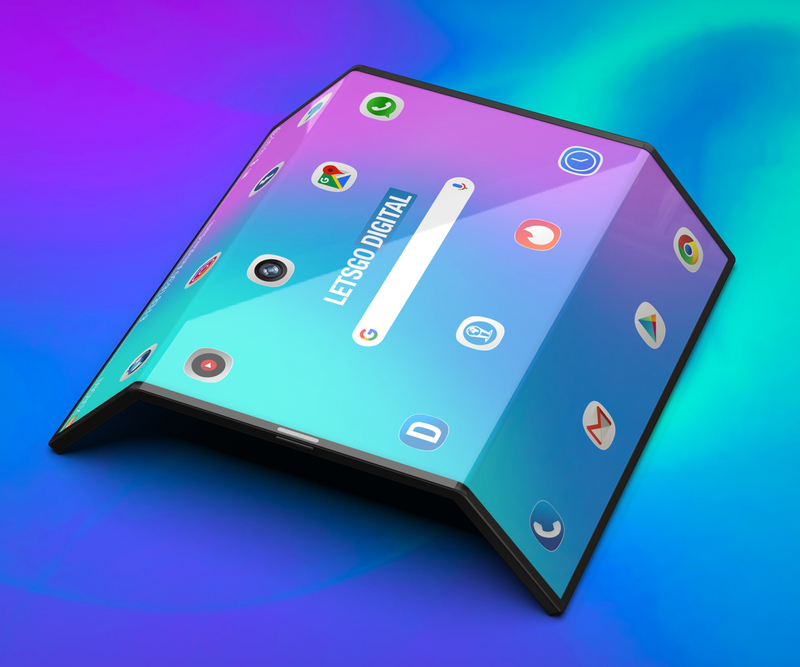 The phone with flexible display has a very unique design that can be folded twice. The display is on the outside and can be folded backwards, to transform the tablet into a compact phone. Lin Bin wrote in his post that the company has already overcome several technical problems, such as the flexible display, the folding mechanism and the MIUI adjustment. 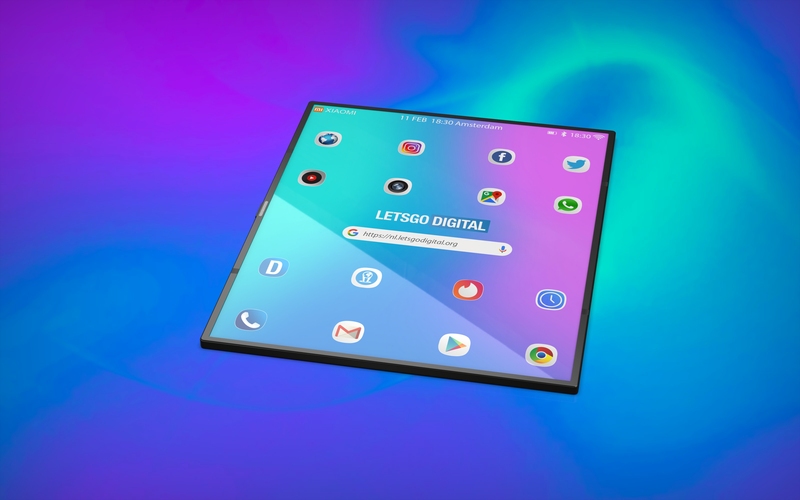 The symmetric double folded design perfectly combines the experience of a tablet and a mobile phone, which is both practical and beautiful, according to the CEO. Two names are currently being considered for the prototype; Xiaomi Dual Flex and Xiaomi MIX Flex. For all creative spirits… the company is still open for suggestions. 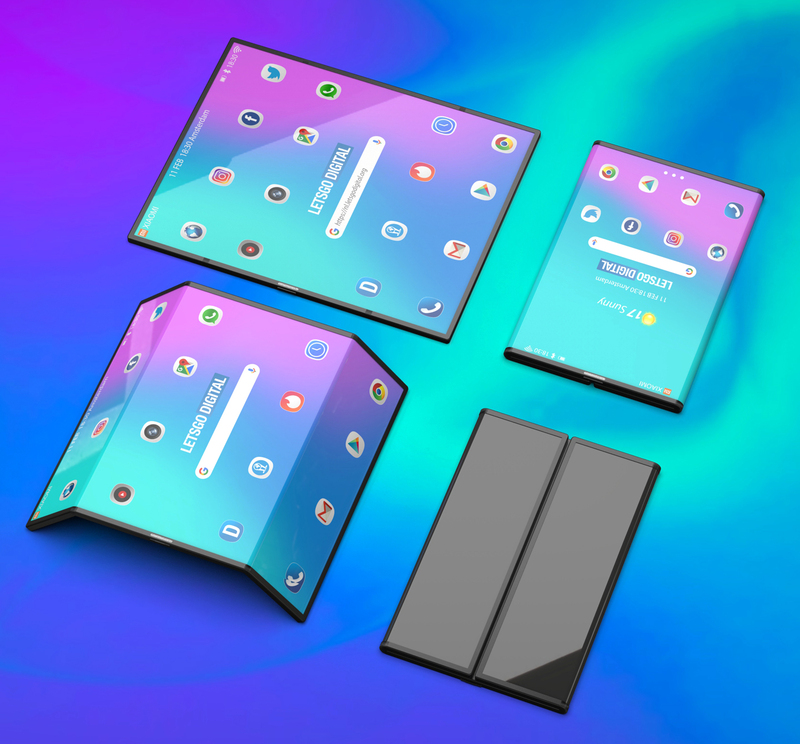 Unlike on our 3D renders, the company will use its own MIUI interface, which will be customized for the foldable screen. There does seem to be a remarkable amount of space between the icons, as can be seen in the promo video. In addition, the video of Xiaomi shows that the interface can rotate. This way, once the device is unfolded, you can operate the elongated tablet with one hand. The fold lines of the screen will be on the side, instead of on the top and bottom. Unfortunately, a lot remains unclear when it comes to the camera. The video clearly shows a camera icon, so we may safely conclude that the device will be provided with a camera. However, no camera can be seen around the screen. We also could not recognize a camera on the back, possibly it’s hidden under the hand of the CEO. If the camera is placed on the back, it will remain possible to make selfies, by folding just one part of the screen. Another alternative is that the camera will be placed under the screen, however, this does not seem likely. 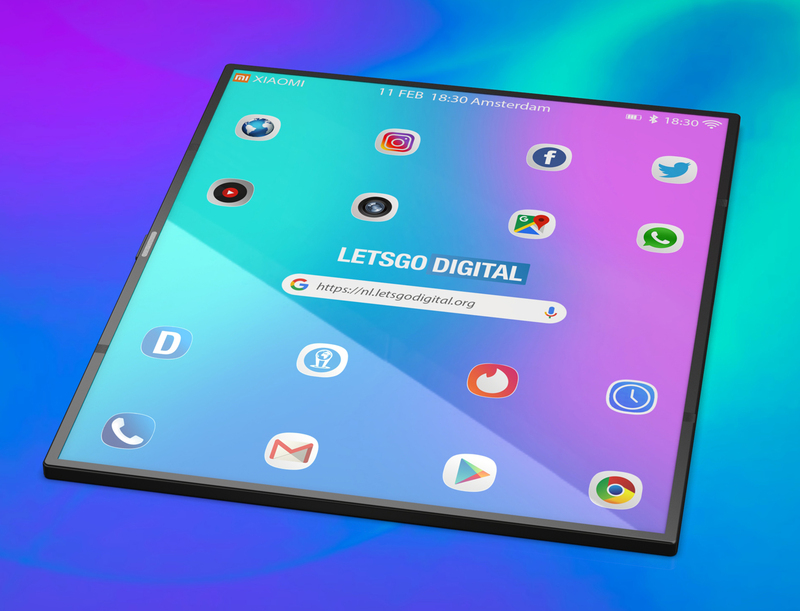 After all, this technology is not even available for regular displays at the moment, to apply this technology on a flexible screen will be even more difficult. Following the recent developments, LetsGoDigital contacted Xiaomi. The Global PR team of Xiaomi has been willing to give us with some additional information. 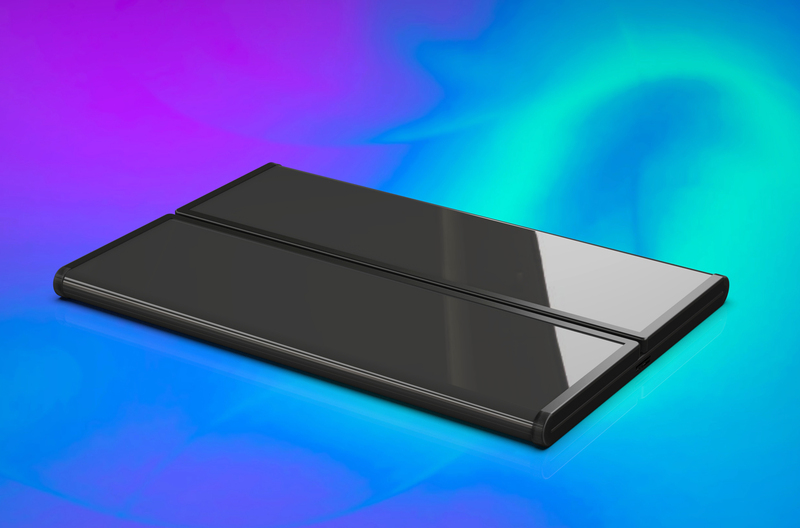 Xiaomi has confirmed to LetsGoDigital that the folding phone is currently extensively being tested in the lab, there are a handful of prototypes available at this moment. 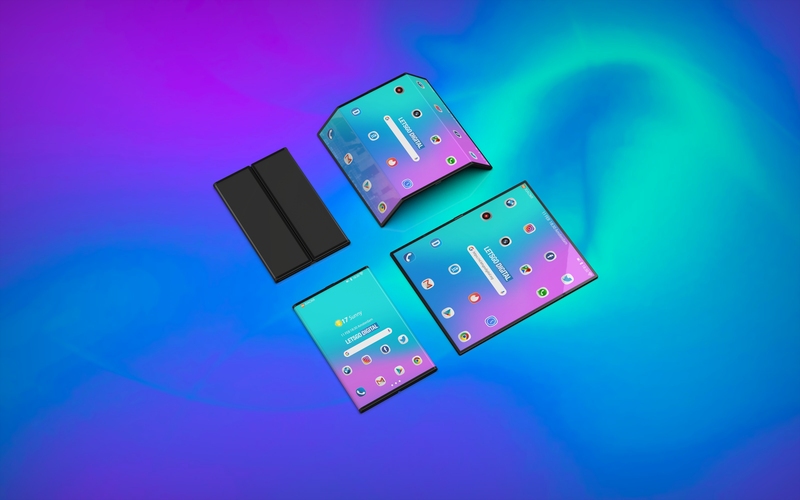 For the time being, it is unclear when Xiaomi will commercialize its foldable smartphone. In addition, Xiaomi Inc. provided us with the following statement. On 24 February 2019, one day before MWC 2019 kicks off, Xiaomi will hold a press conference to introduce their first 5G smartphone. It is a 5G variant of the recently launched Xiaomi Mi Mix 3, a beautifully designed full-screen smartphone with a slider camera. The recently presented and affordable Redmi Note 7 with 48-megapixel camera will also be on display at the trade show. Possibly the company has more surprises in store this year. For example, a recent patent shows that the Chinese manufacturer may also develop a smartphone with dual punch-hole camera. 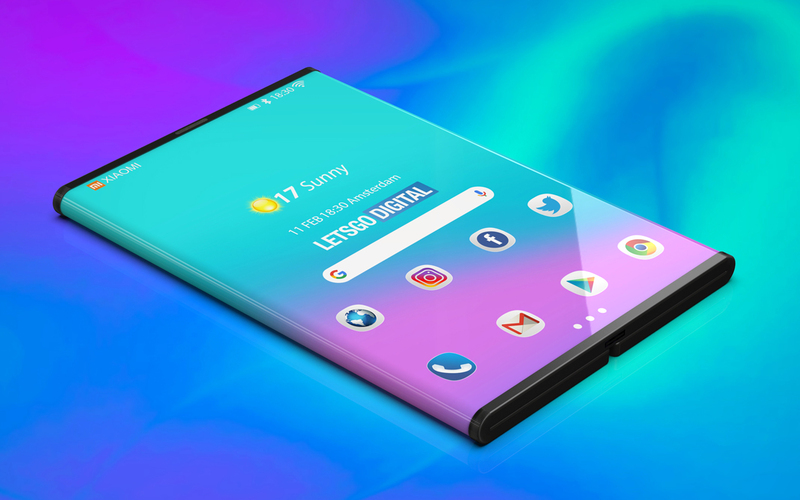 The first smartphones with a punch-hole are already introduced, like the Samsung Galaxy A9s and the Honor View 20. 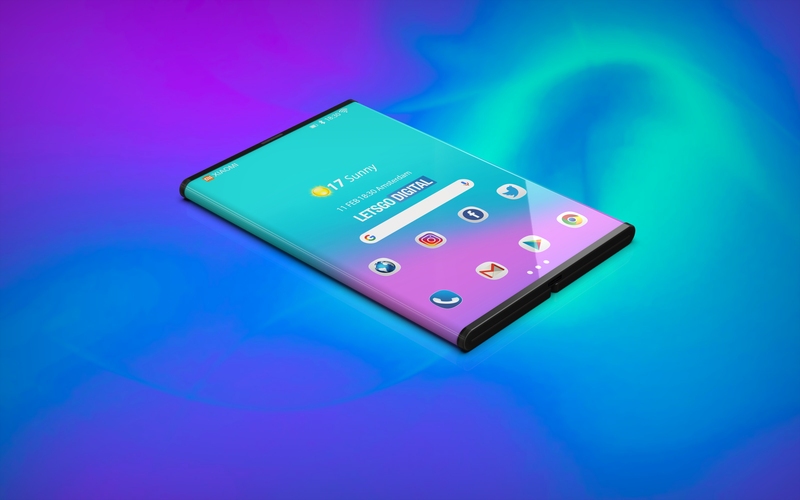 The Samsung Galaxy S10 Plus will probably be the first smartphone with a dual punch-hole camera, chances are that Xiaomi will follow soon. Xiaomi also seems to see a future in a smartphone with a 4-sided edge display. Just like Samsung, which recently patented a similar smartphone with borderless display. 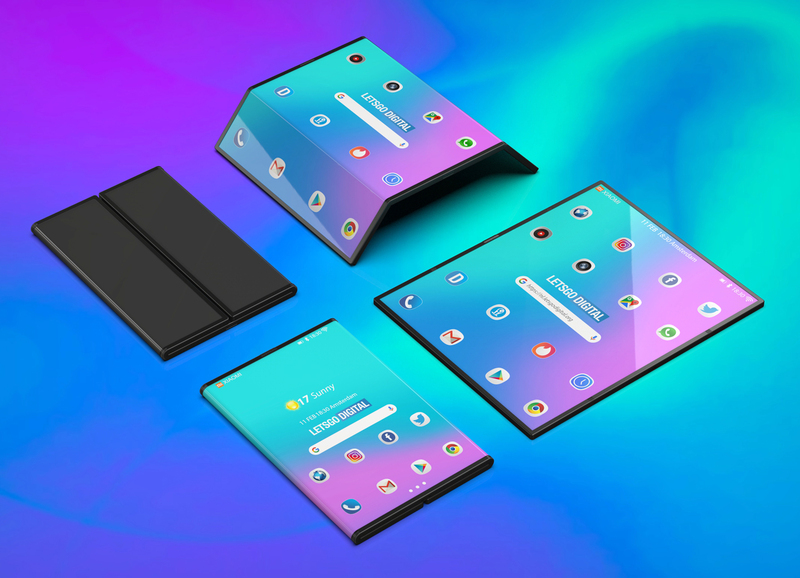 For an official introduction of the Xiaomi foldable smartphone, it seems to be a bit too early. After all, only a handful of prototypes are available at the moment. It will take some more time before mass production can be started. 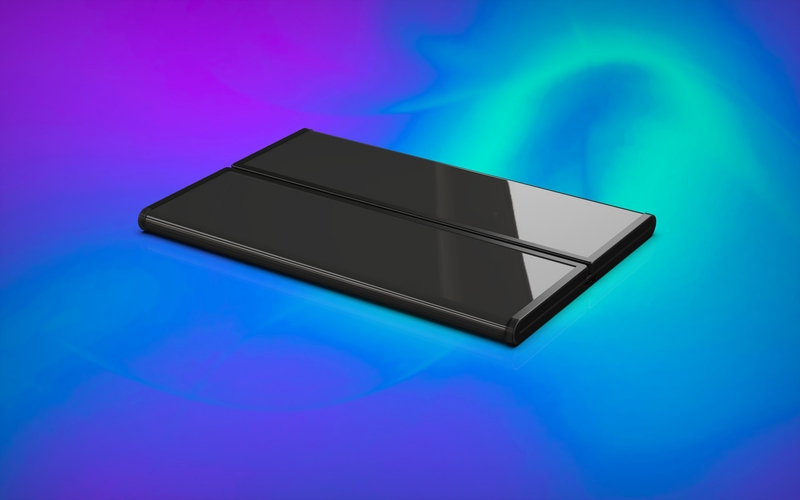 Perhaps Xiaomi will introduce their first folding smartphone in the second half of 2019, as stated in the research report from CGS-CIMB Research.